Gone are the days when humans were the masters of pet dogs. Lately, experts in dog training from Ofallon, IL have upheld the idea that dogs are not slaves, but companions and should be treated as such. SMansfield News Journal staff writers Anna Jeffries, Emily Maddern, and Gere Goble write about how dog training is simply a matter of knowing they have needs, and the way to connect with the dog is to understand those needs. 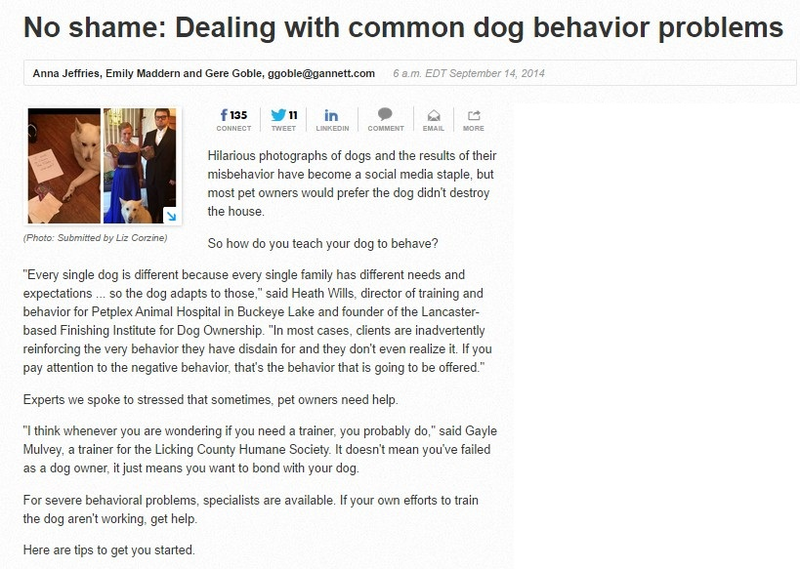 Noted dog behavior specialists have remarked that owners have to be trained as well as the dogs themselves. They advise owners that in the event they get no response from their dog and wonder if they need a trainer, then chances are they do. This in no way connotes failure as a dog owner, simply failure to connect with the dog. Experienced dog trainers like those from Kranky K9 offer some basic tips to novice dog owners. Allowing the animal to roam the house freely while you’re gone is setting him up for destructive behavior due to stress. For dogs that misbehave while owners are away, a crate or a “den” needs to be established. The crate mimics the animal’s sanctuary in the wild, a place where the dog feels safe. So while you’re away, he is safely in his crate and prevented from doing any harm. Addressing this will require keen observation on the owner’s part. If the dog is constantly relieving himself indoors, take note of the time lapse between eating and relieving. For instance, if you notice the dog urinates around two hours after a meal, make it a point to take him outdoors then. Puppy training in Ofallon, IL teaches youngsters to get into the habit and they soon learn to exit by themselves. This will definitely test the owners’ patience. When a dog is barking, that means it’s either reacting to something it sees or it is trying to get your attention. In either case, throwing objects or squirting it with water won’t do much to make him stop. Try to find out why he is barking and deal with the source, i.e. a neighbor’s cat, passing cars, etc. You could transfer the crate to a more secluded area to avoid distractions.